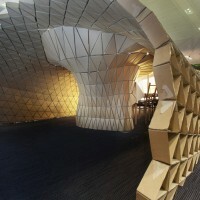 Pupa is a habitat by Liam Hopkins of Lazerian. 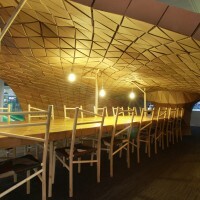 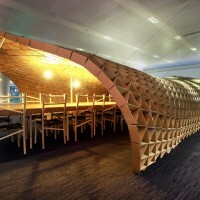 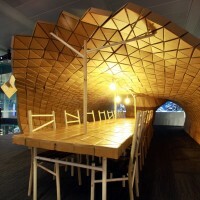 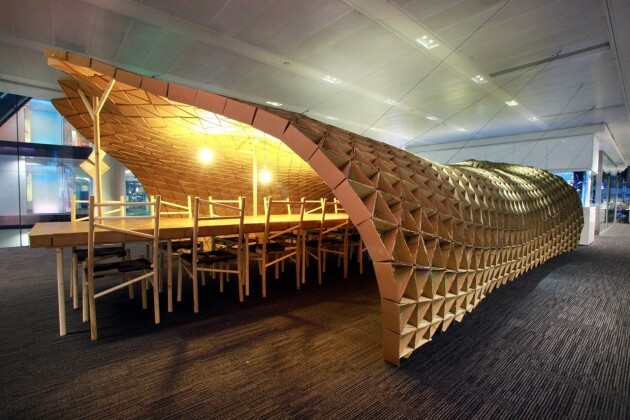 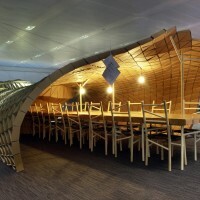 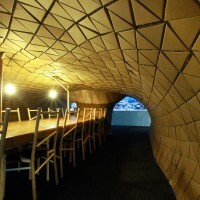 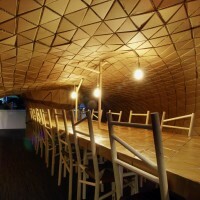 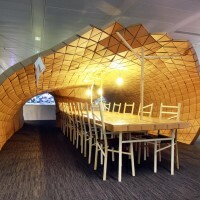 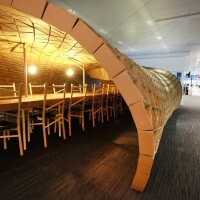 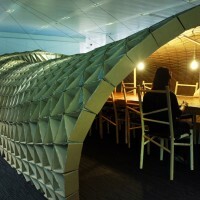 Located within Bloomberg’s London headquarters, it is made from reclaimed cardboard and pallets. 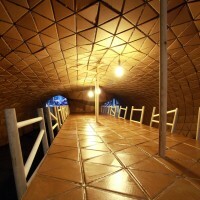 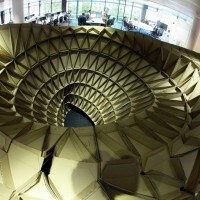 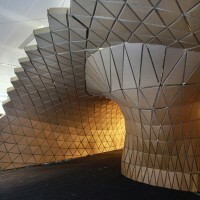 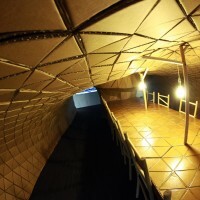 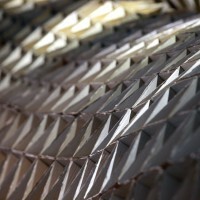 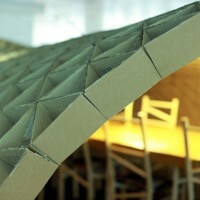 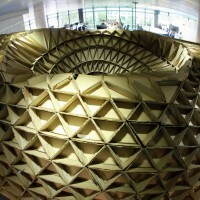 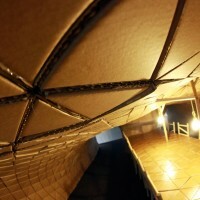 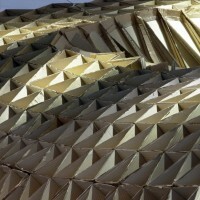 Constructed in triangular sections Pupa utilises the structural and acoustic properties of cardboard. 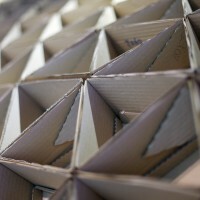 Computer design techniques were used to generate the form and the individual components were then extracted from the virtual model to create flat layouts that are glued together by hand.The original Bloomberg cardboard arrived in damp bales so was pulped and re-constituted at a John Hargreaves factory in Stalybridge using machinery originally installed in 1910.